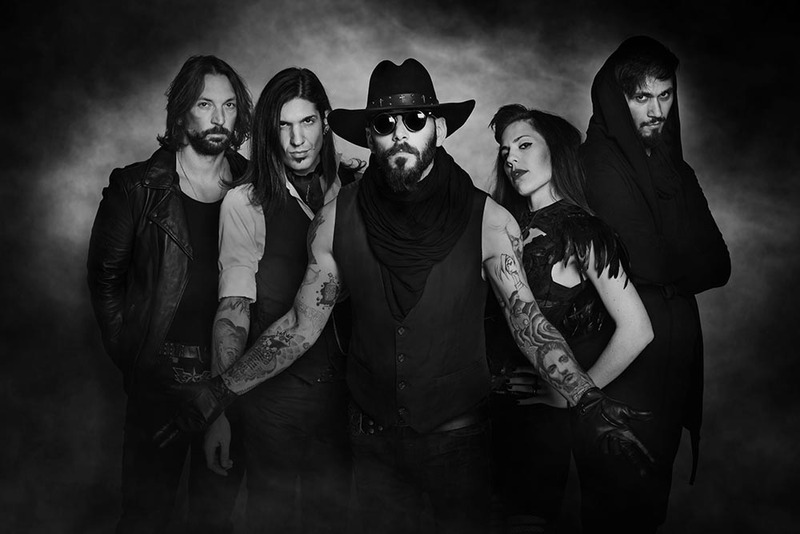 THE BLACK CAPES - Release New Video "Wolfchild"
Dark Rock/Gothic Metal band, The Black Capes have released a new music video "Wolfchild", taken from the album "ALL THESE MONSTERS". With their debut album "All these Monsters" the Athenians impressively prove that they understand like no other, what has always been the spirit of the past. Effortlessly they combine this understatement with the modern sound of our time, creating a masterpiece of hard, gloomy riffs and Singing full of tension, feeling and roughness. But this is not enough: "All these Monsters" also impresses with a strikingly artistic artwork by Seth Siro Anton, who has already worked for PARADISE LOST, MOONSPELL, SOILWORK, ARCH ENEMY and other icons. “All these Monsters” is a masterpiece in all aspects, which starts the worthy prelude of a new era of gothic rock and gothic metal, and no one, who appreciates the beauty of dark music and has waited it for far too long, should miss this groundbreaking release.